One tenth of energy, half of land, and four-fifths of water in the United States is used for getting food on our table, but nearly half of food is wasted. Our mother never told us stories about poor children not having enough food, it’s ungodly to waste food, or yelled at us for not cleaning our plates. She taught us “food is too precious to waste” by not wasting food herself, by using bones to make rich stock for soup, making butter with milk fat, and cooking just what we ate, not more nor less. By not wasting food, she taught us not to waste food or squander any other resources. Wasted food not only cost more than hundred and sixty billion dollars, but is also responsible for the largest portion of municipal waste producing one-fourth of methane emissions. 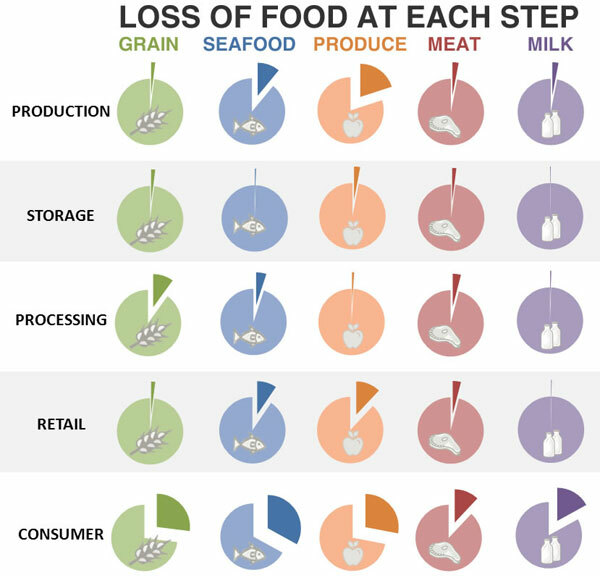 Reducing food losses by a little more than just a quarter would be enough to feed more than one in six Americans who don’t have reliable access to food. Food can be wasted in each stage of its journey, from farm to fork — during production, post harvest handling/storage, processing/packing, retail/distribution, and at end-consumer (our end). Among all the steps, storage and processing seems to be most efficient at avoiding loss. Business will be more efficient eventually to increase profits by wasting less and by reducing cost of managing waste. The biggest loss of food is at consumer’s end. 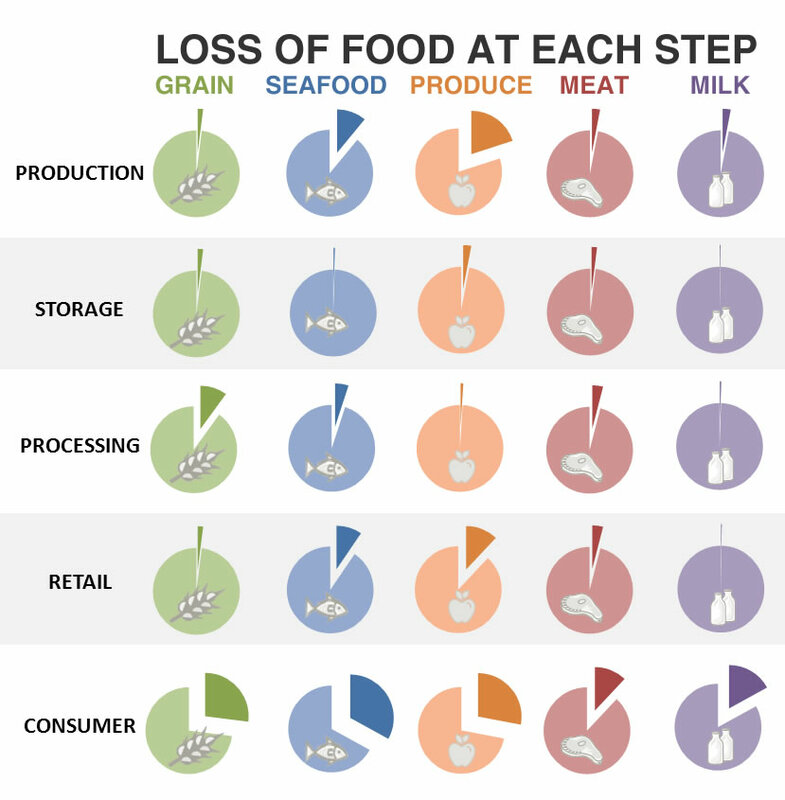 As individuals, we can’t do much about losses during food production/distribution. However, as eaters, we can definitely choose not to waste them. It’d be hypocritical to look at big companies without peeking at our trashcans first. Shopping Smart. Poorly planning meals, overestimating grocery, bulk purchases and unplanned restaurant food are the main cause of excess food that ends up spoiling. Plan and shop only what you eat. Food Expiry Dates. Knowing when food goes bad is critical. The “best by” dates don’t that product is harmful after that. Many discard food as soon as it reaches its date concerning its safety. Generally those dates are NOT regulated with exception of infant formula and a few products in certain states. Use your judgment when to discard food. Storage. Not storing food properly, which also includes food disappearing back of refrigerators or partially used ingredients (what do you that sauce you used to make that exotic food once). Often ingredients can be used on other recipes or frozen. Overcooking. We need to learn to cooking only amount of food that we eat and learn to eat leftovers. Studies have found that Americans who lived through either the Great Depression or World War II or people from developing nation wasted half as much food as most Americans. The pie charts were made with Excel and PowerPoint based on data in Gunders et al. Scientific (social) survey on food blogs, I am intrigued! 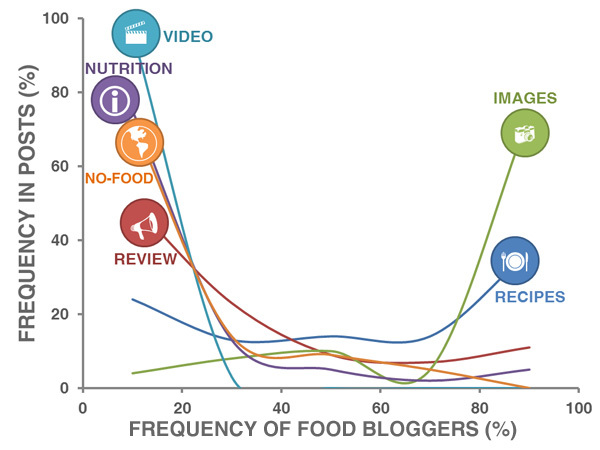 The food blog survey (here, PDF) was focused on types of content posted by food bloggers. The concept of summarizing what we food bloggers post was interesting, but when I looked at the graph, I couldn’t help but to think that it could presented in slightly more comprehensible manner. I took the data from the graph and plotted in Excel. I don’t have the original data. These findings are result of surveying 303 food bloggers. According to the researchers, they are not fully analyzed and will be part of a peer-reviewed paper on food blogs. I am eagerly waiting for its publication! Chick-Fil-A became the focal point of symbolic debate on gay marriage after its president showed support for only non-gay marriages. The CEO of Papa John’s also got into the hot seat after he denounced the Obama health care reform for increasing price of his pizzas by about a dime. As presidential election draws closer, there may be more of this partisan divide that spills onto food. 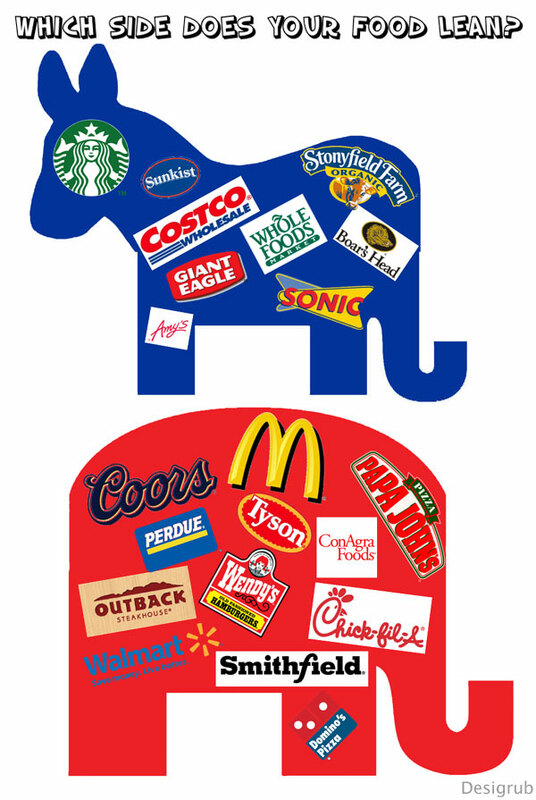 I thought it would be fun to see which national food brands leaned Democrat and which ones to the Republican party. These graphics are based on the financial contribution data from Open Secrets a non-profit nonpartisan organization Center for Responsive Politics and Shop Your Politics. 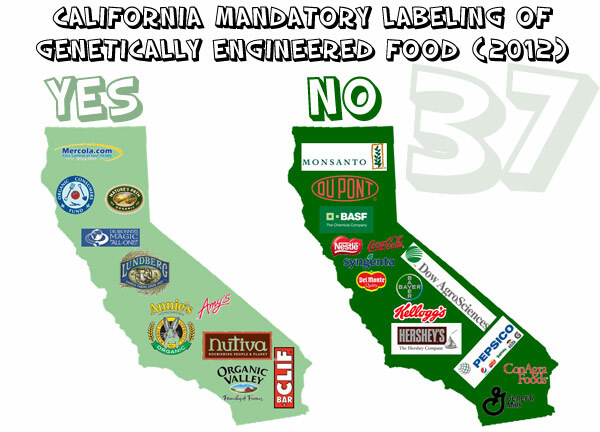 Many national food brands leaned to the right. In fast-food (or “junk” food) category, everything except Sonic, leaned to the right or center. The few major food brands that leaned to the left were Starbucks, Wholefoods and believe it or not, Costco. So, would you eat according to your political beliefs? 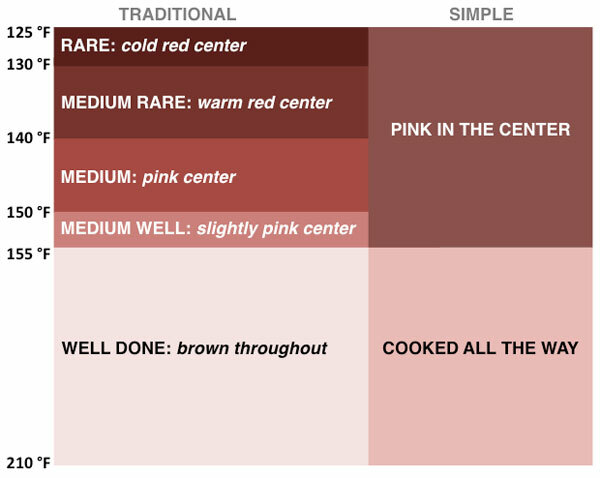 Posted in: Food Culture | Tags: Which side does your food lean?